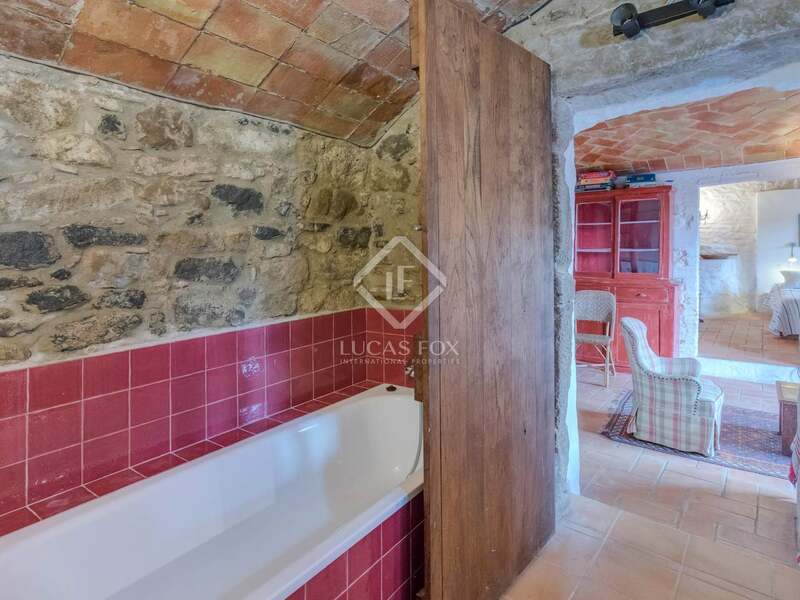 Unique opportunity to acquire a pretty 18th century country house with a garden, swimming pool and private parking in the heart of a small picturesque village just 20 mins from the beach. 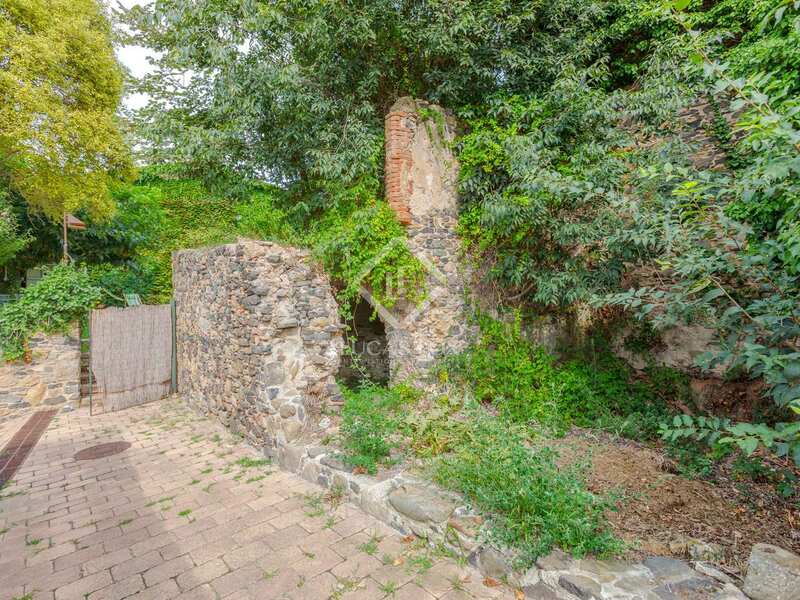 The property includes a separate ruined barn next door which could be converted into a guest house or studio space. 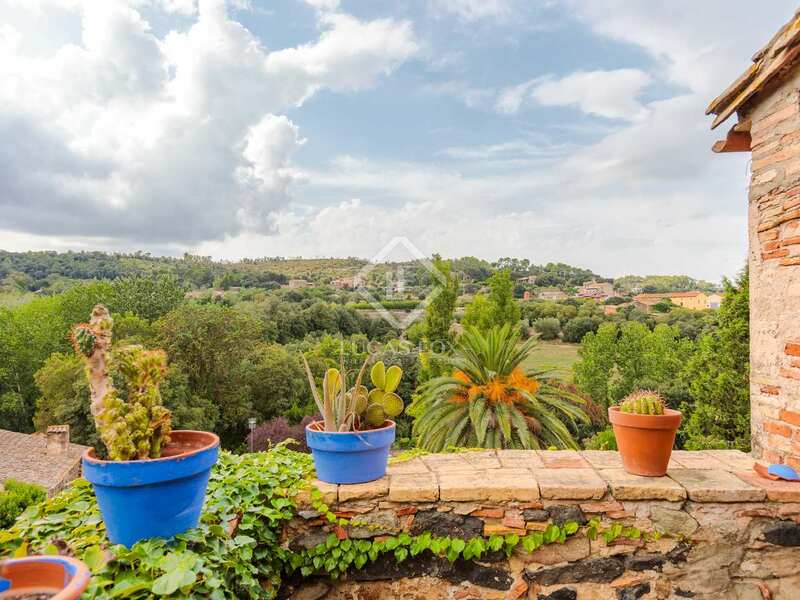 Located next to a stunning medieval castle, this idyllic family house is completely detached and enjoys plenty of privacy as well as beautiful views across the rolling countryside. 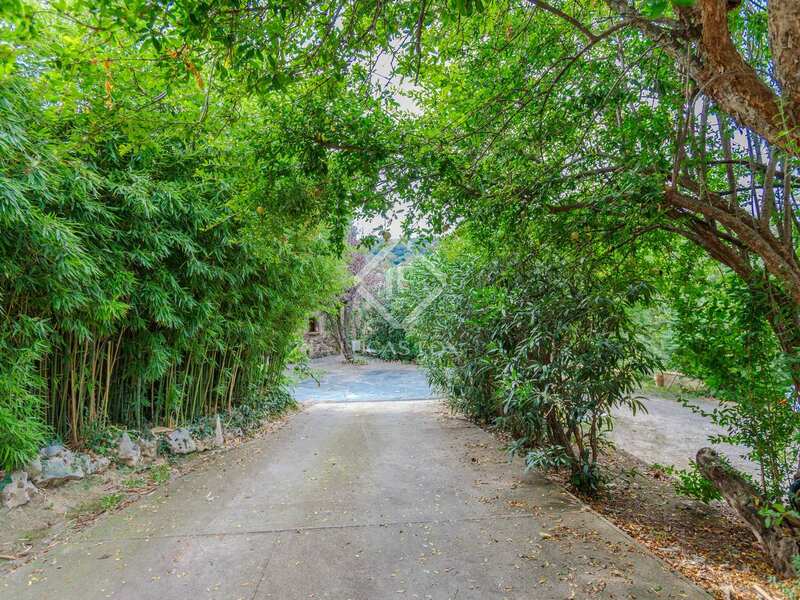 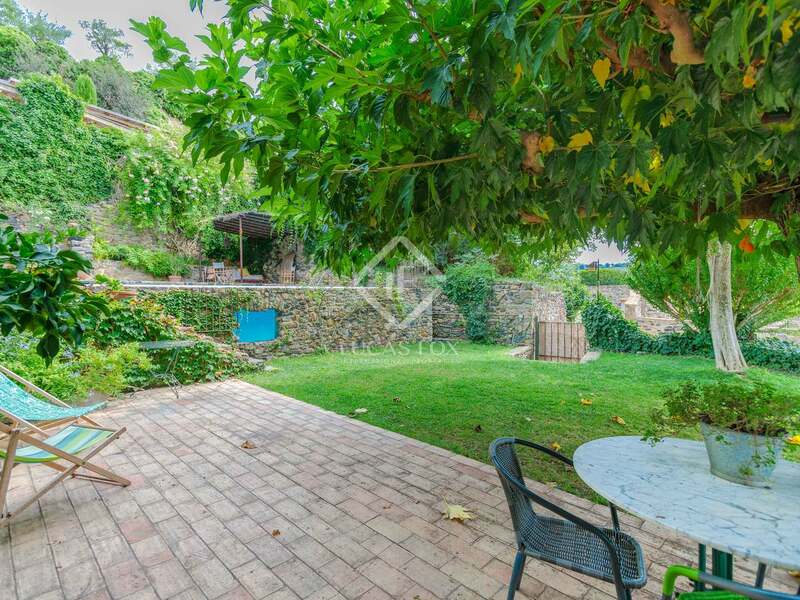 Set in the heart of a tiny village of around 15 houses, the property has three separate entrances, one for pedestrians straight to the garden and pool area, another for cars with a private parking area and the third entrance off the street which has direct access to the lower ground floor. 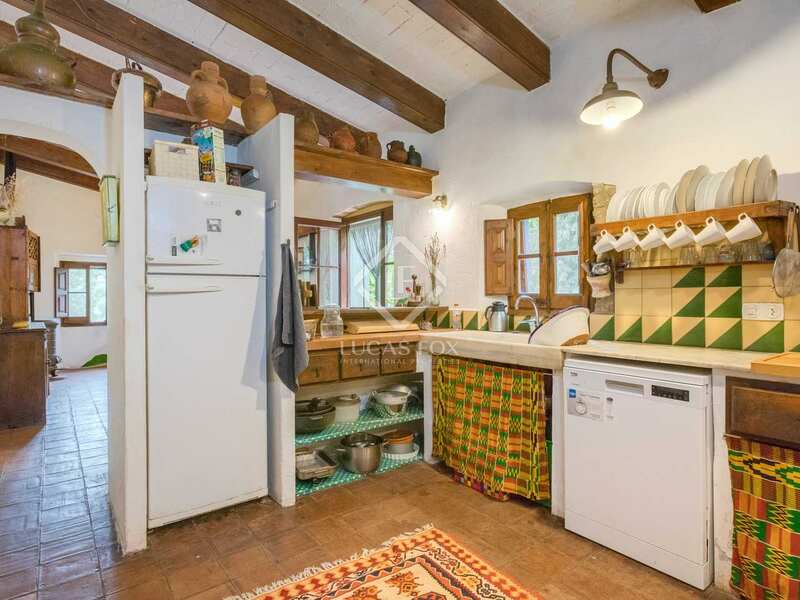 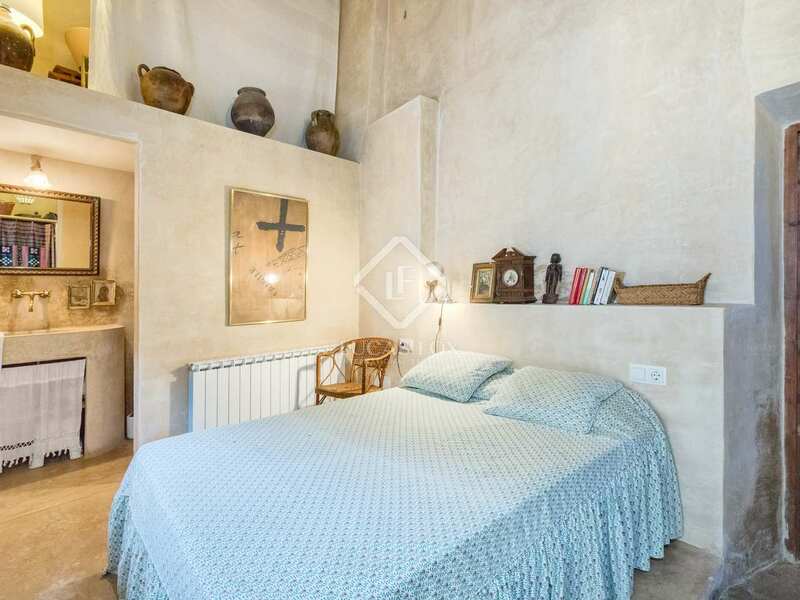 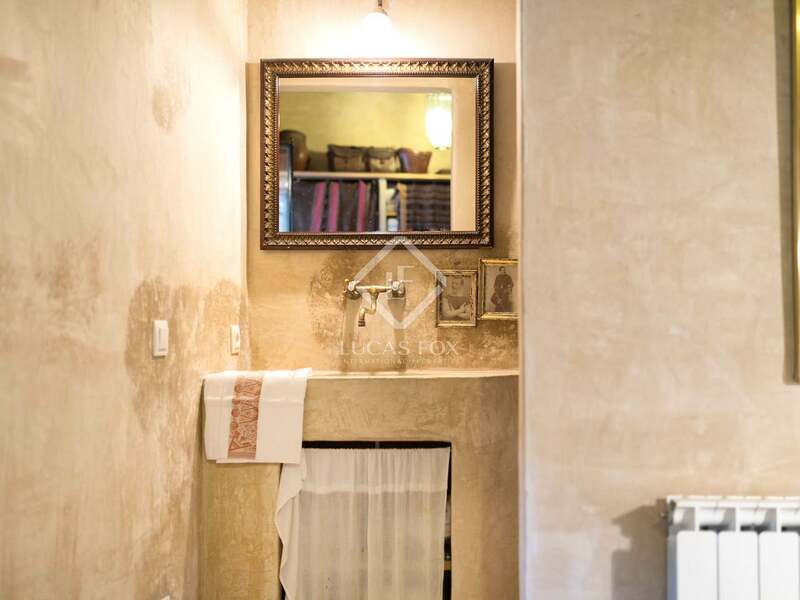 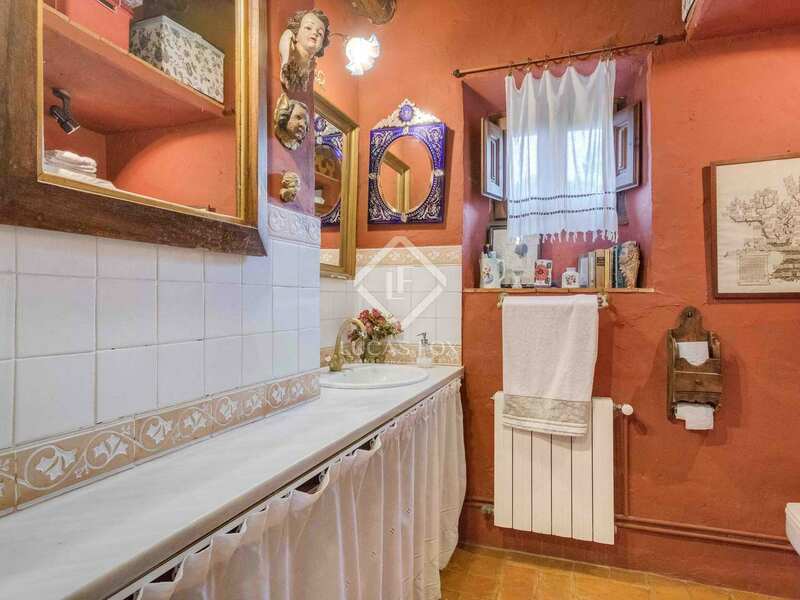 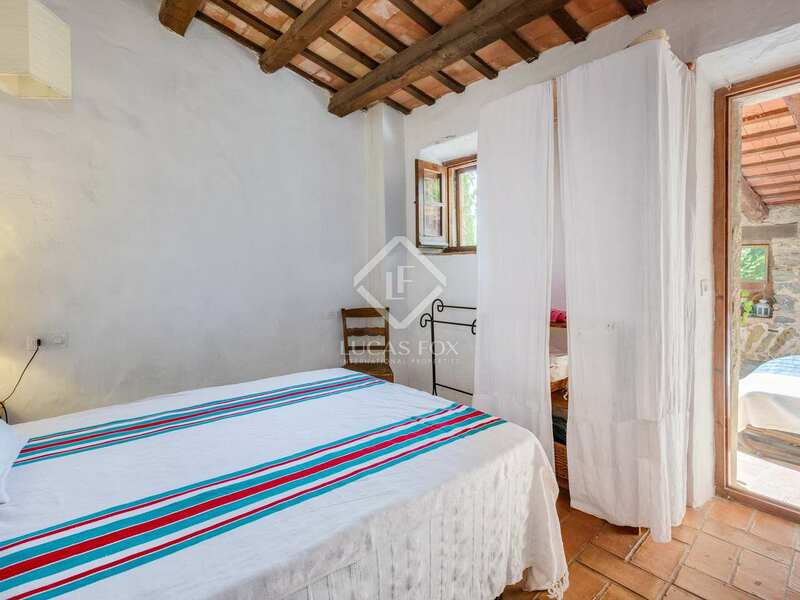 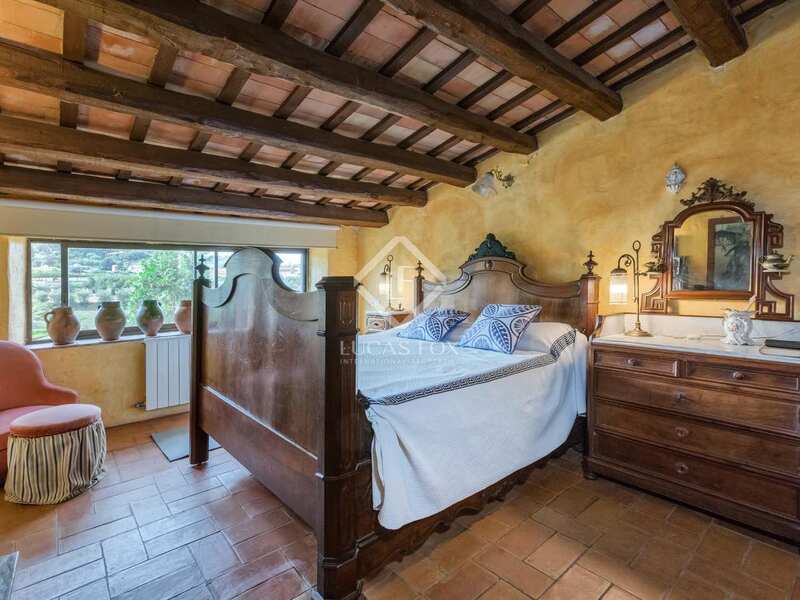 The property was tastefully restored by the current owners 30 years ago and is presented in good condition although some minor renovations could be carried out. 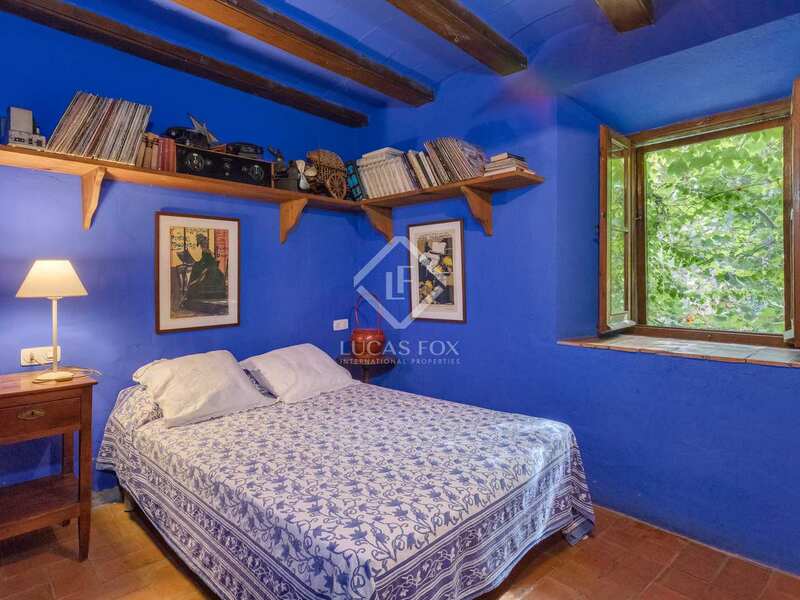 The house compromises a total of 6 double bedrooms and 3 bathrooms. 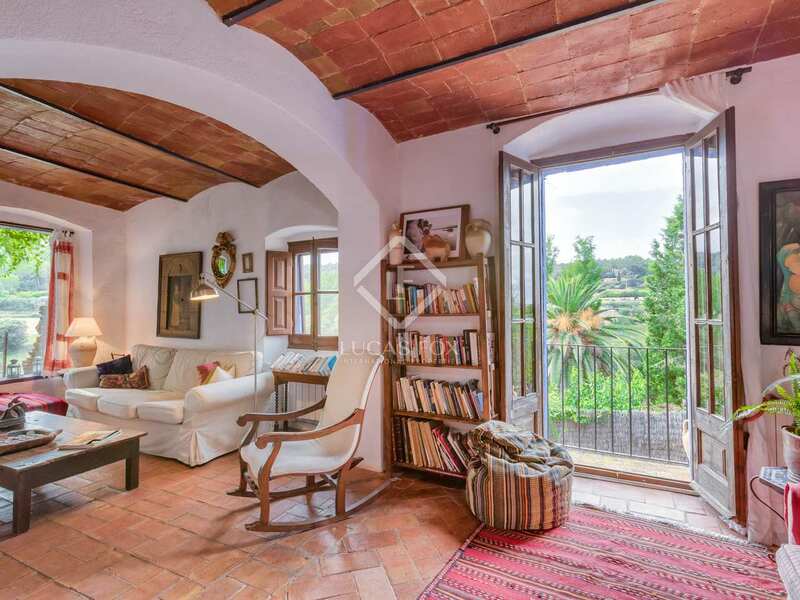 It has a beautiful sitting room with high ceilings, plenty of natural light and a cosy fireplace, a lovely country kitchen and dining room with direct access to the back garden and the top floor boasts a pretty terrace from which to enjoy the far reaching views. 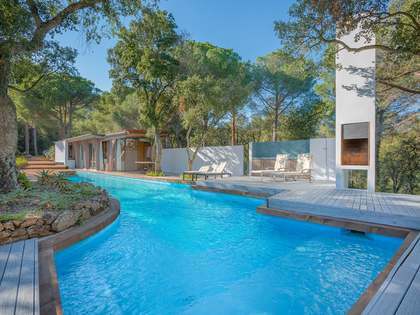 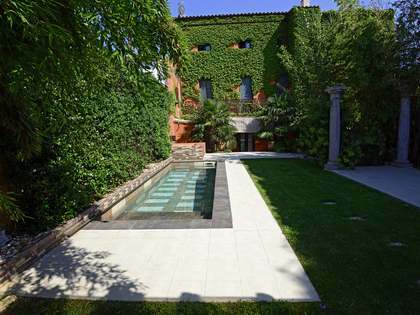 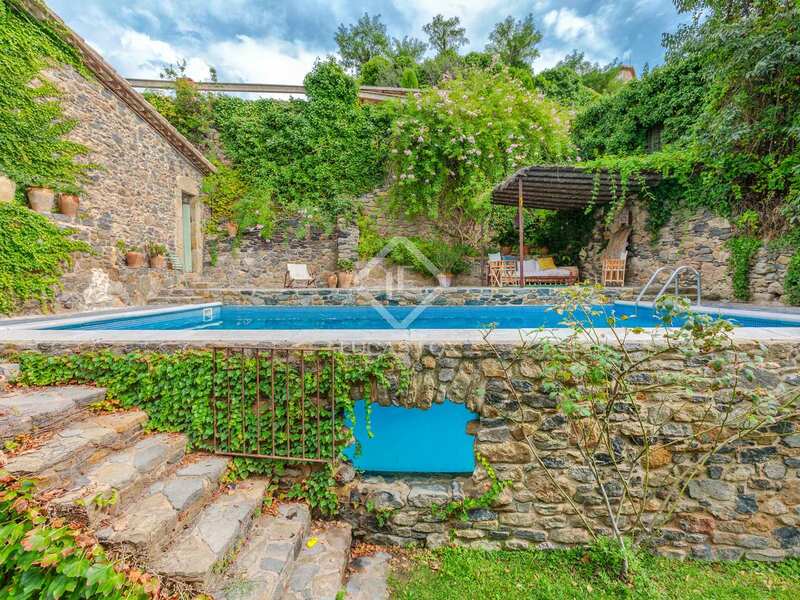 The 40 m² salt water pool has been cleverly integrated into the garden with a traditional stone wall. 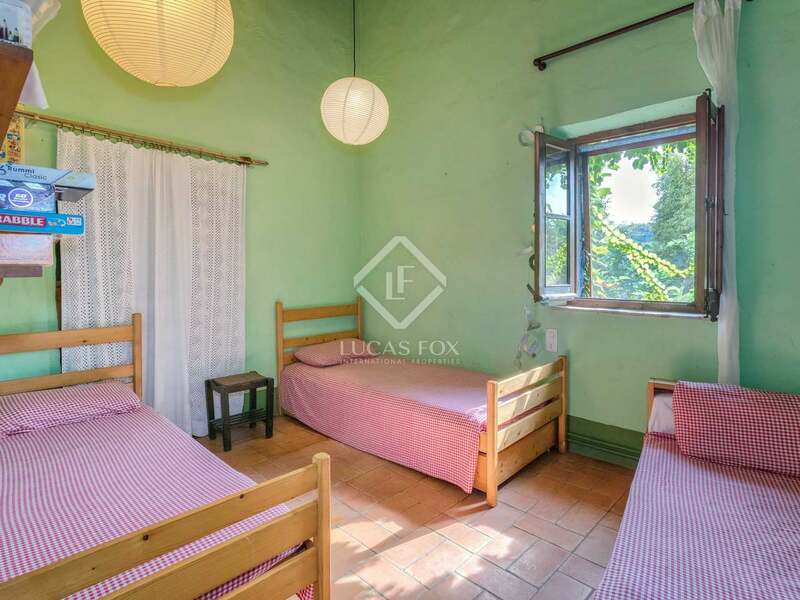 The house is equipped with central heating, mains water and electricity. 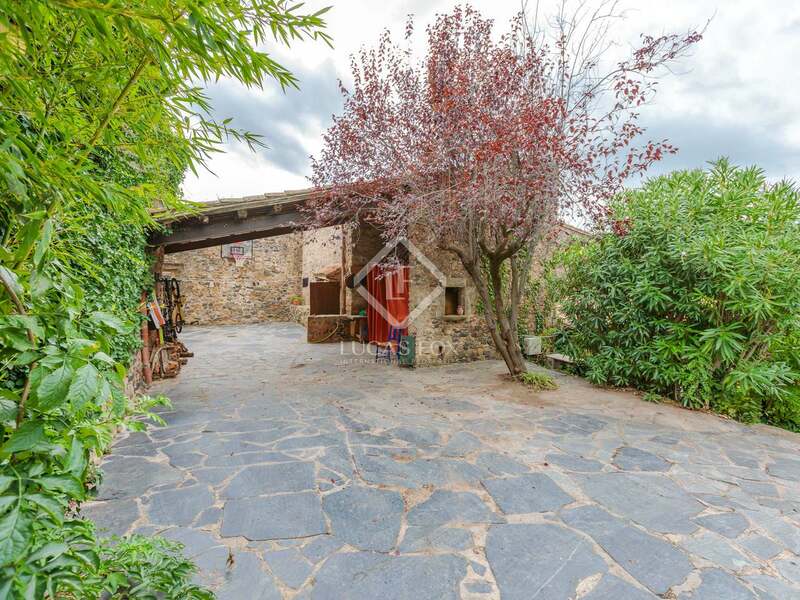 There is room to enlarge the property by restoring an annex ruined barn which is included in the sale. 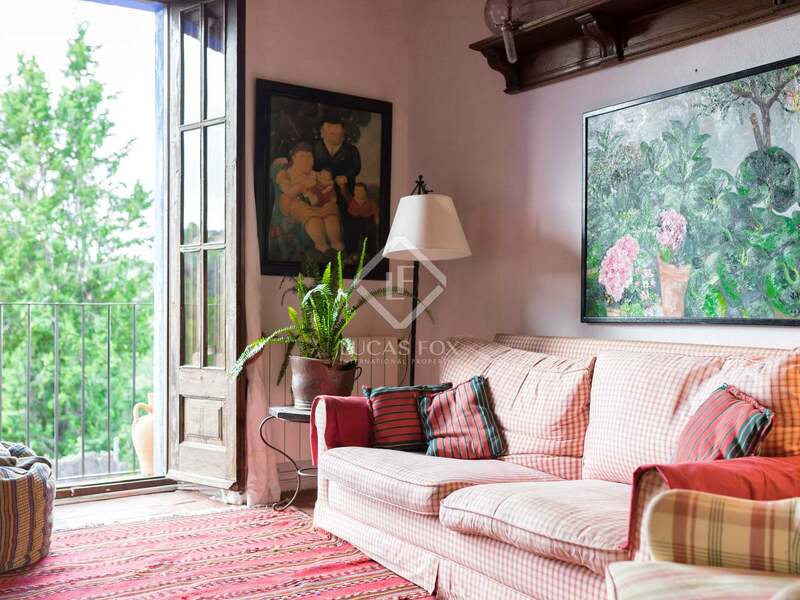 It would make an ideal guest apartment, holiday let or artist's studio. 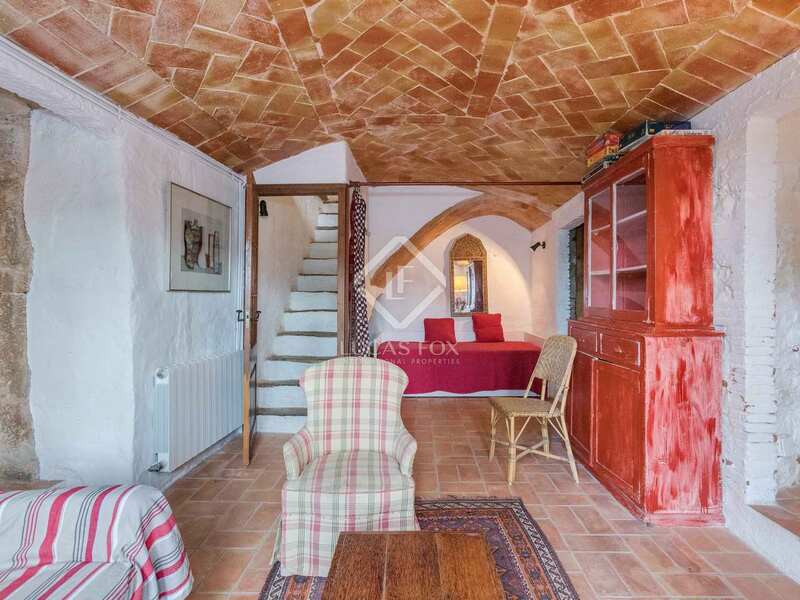 Entrance hall, double bedroom, family bathroom, wine cellar. 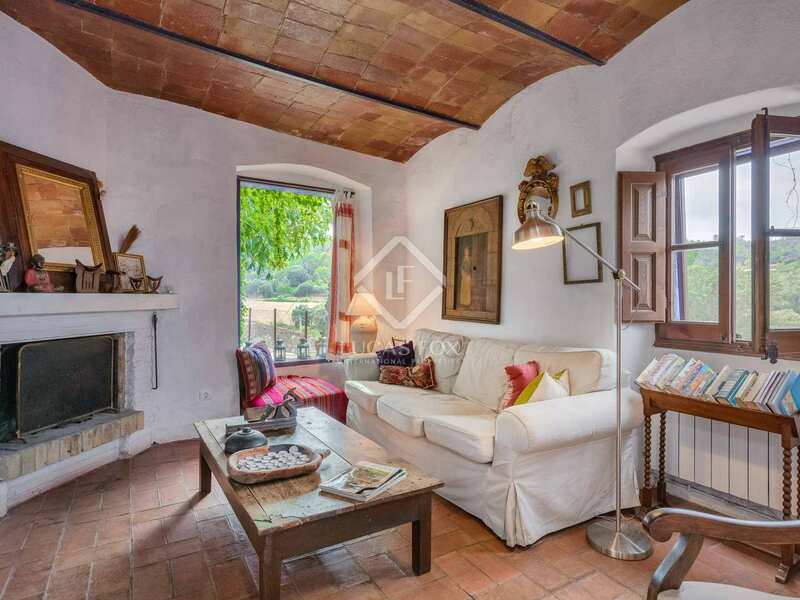 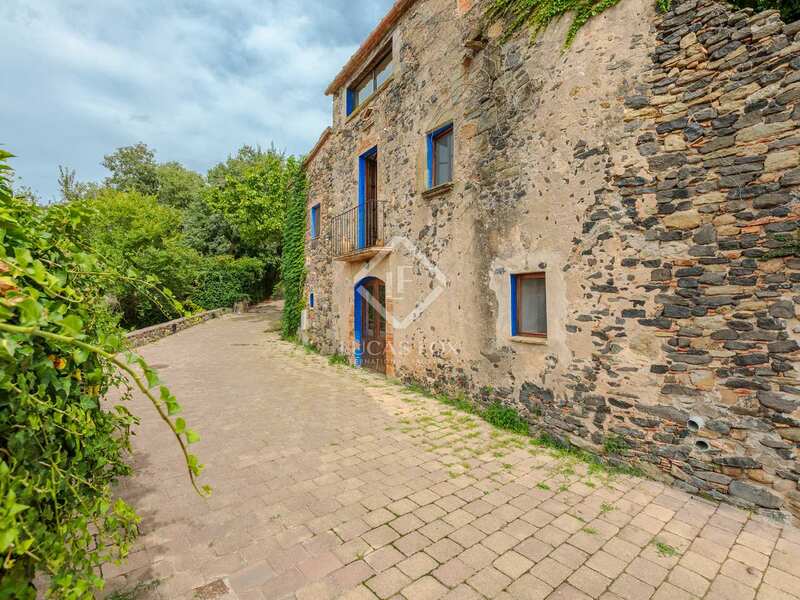 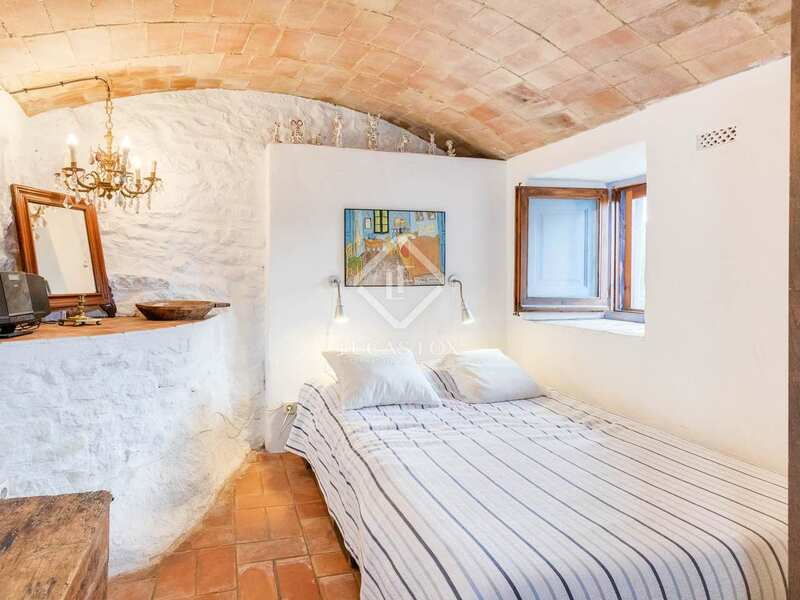 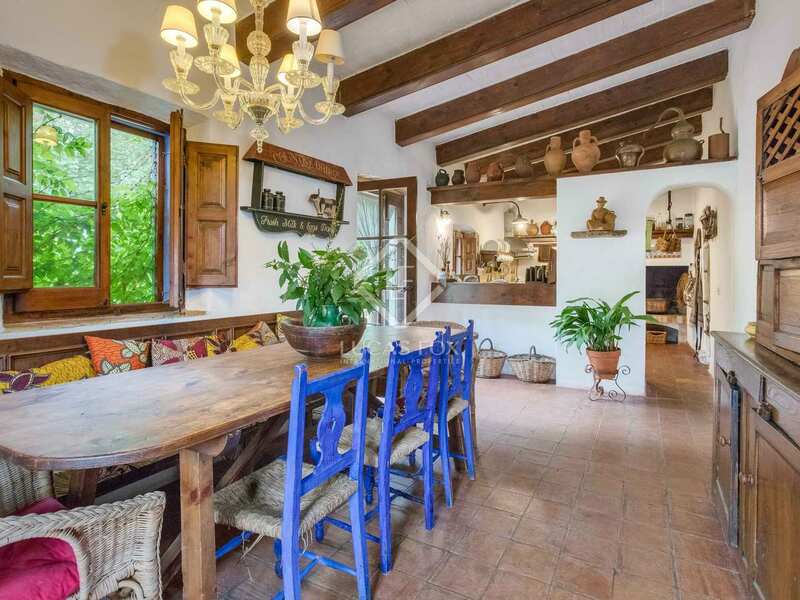 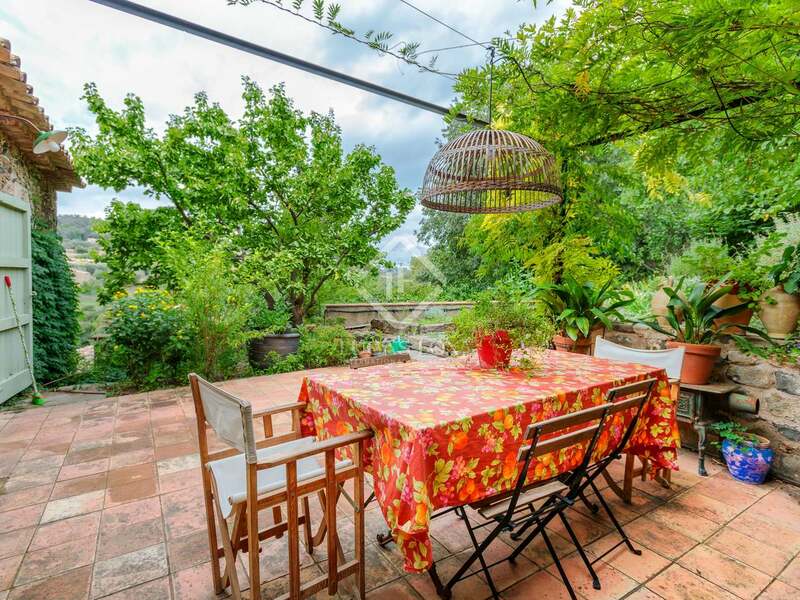 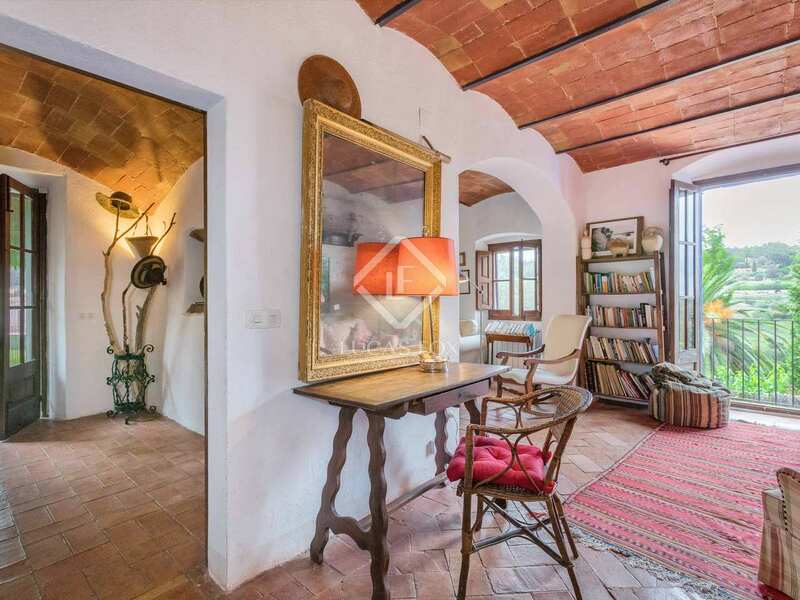 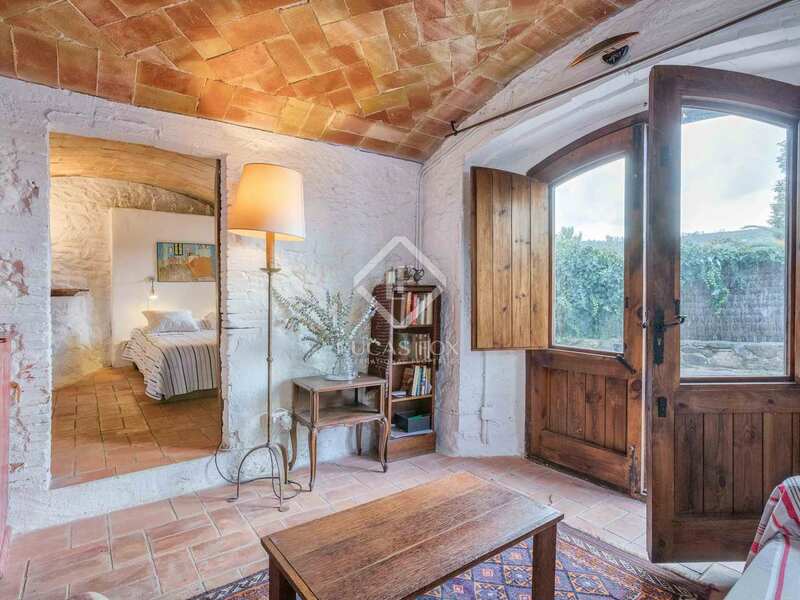 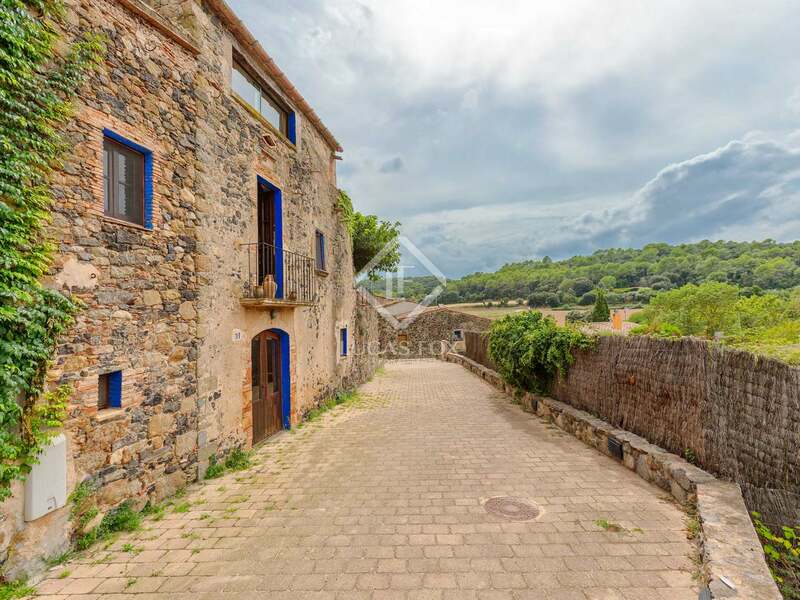 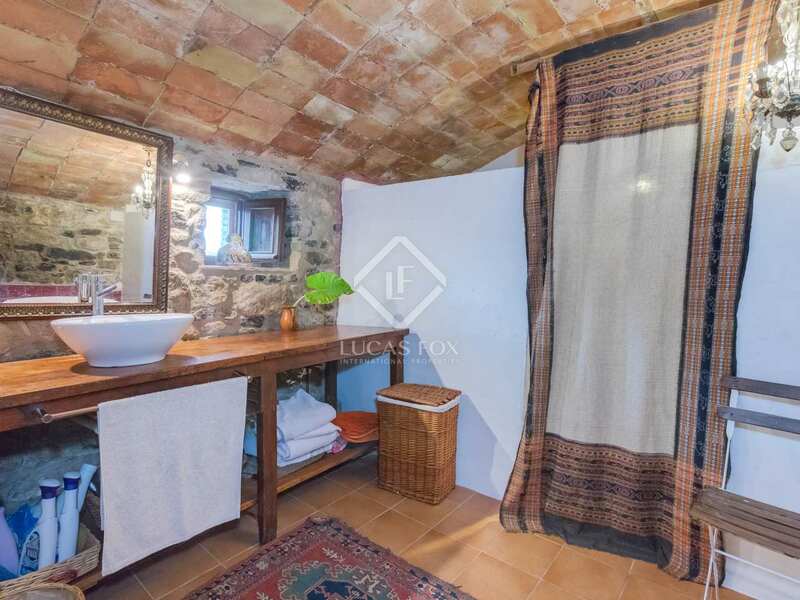 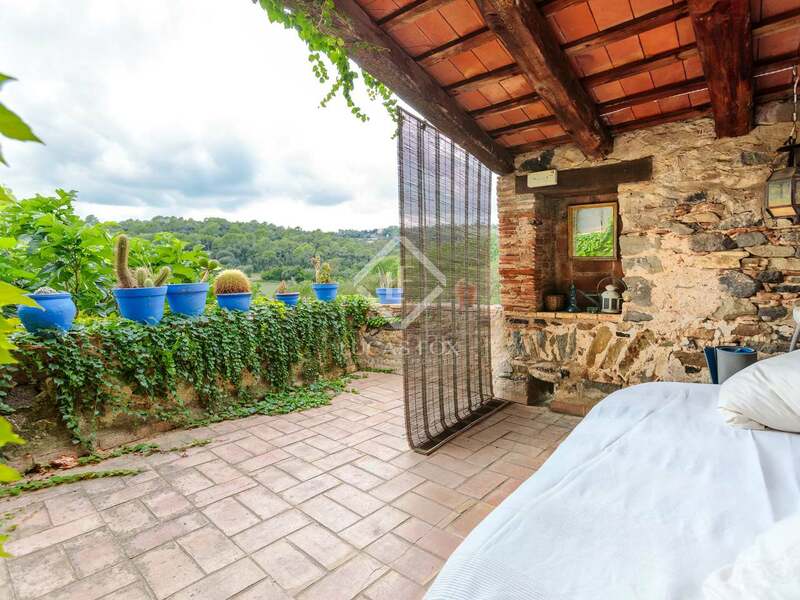 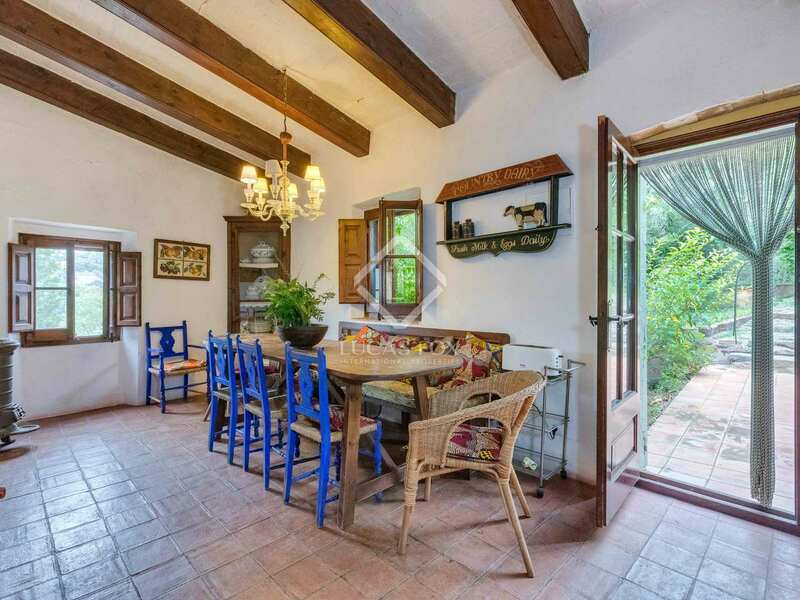 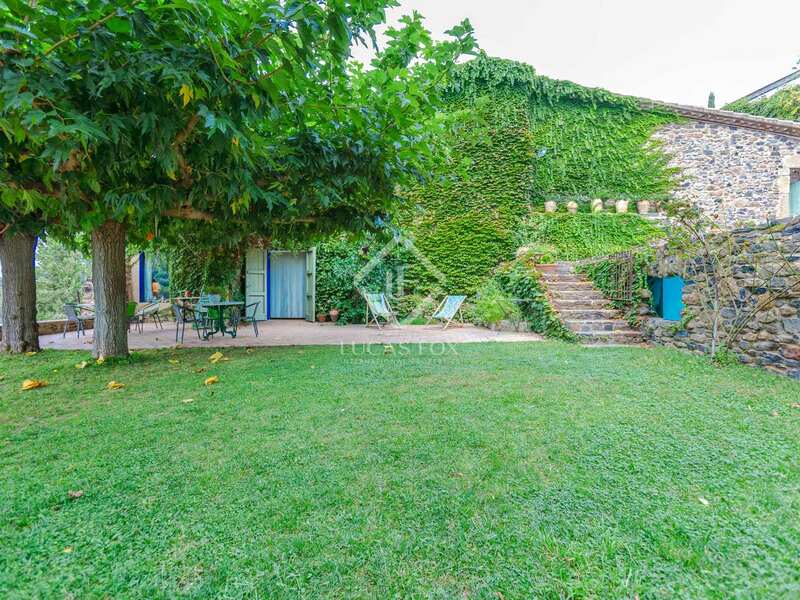 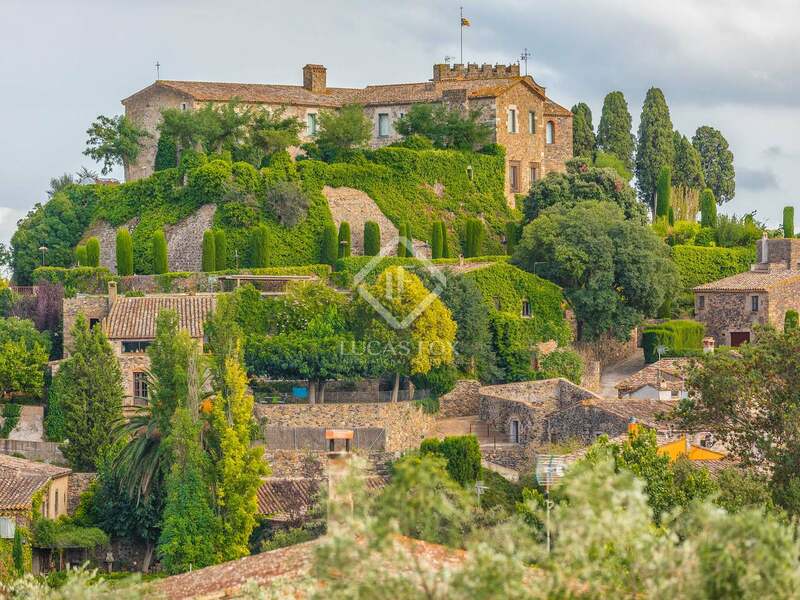 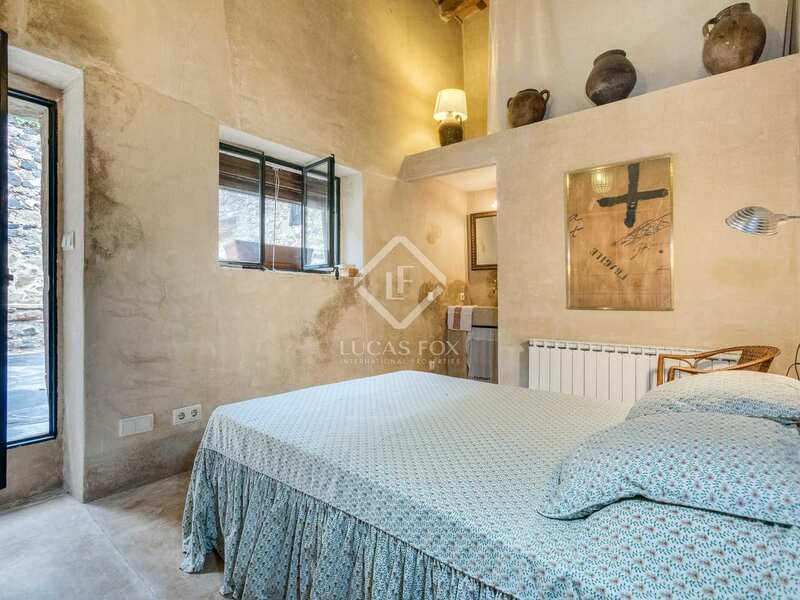 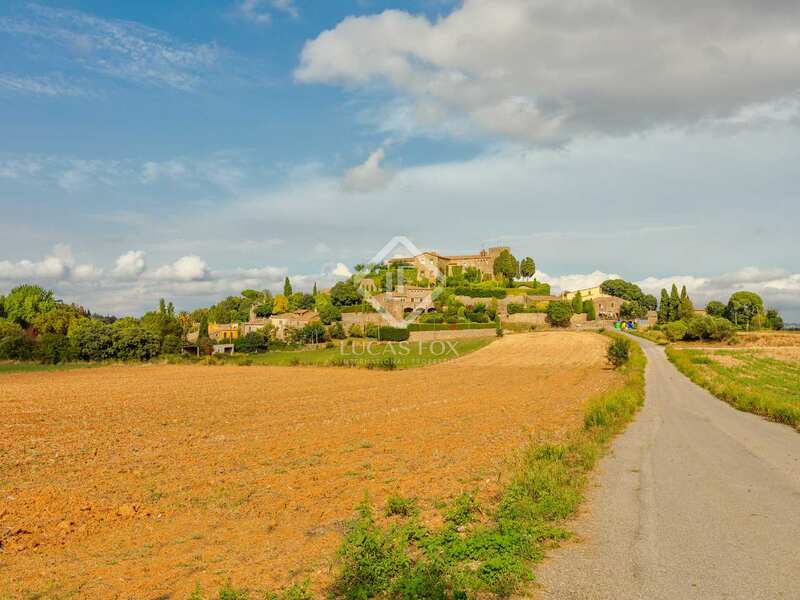 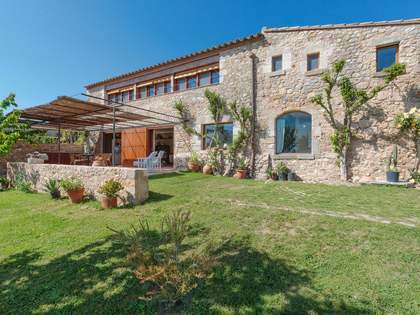 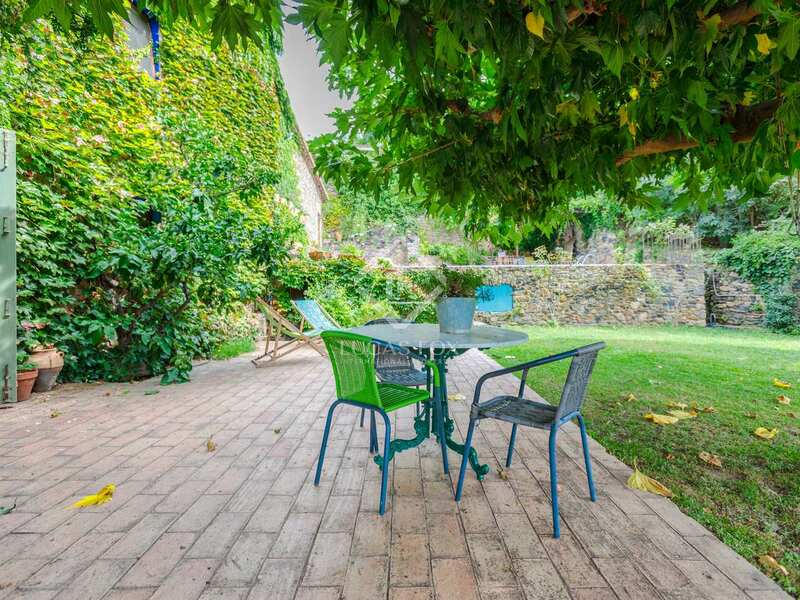 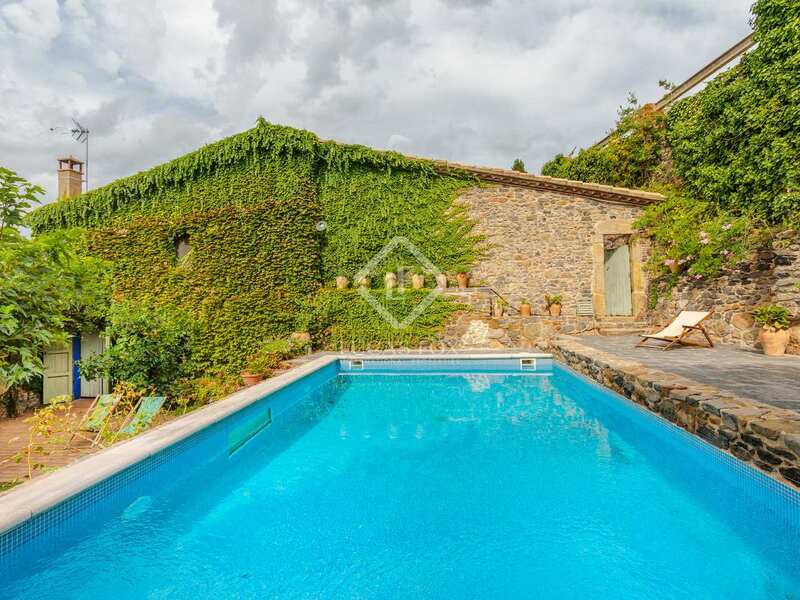 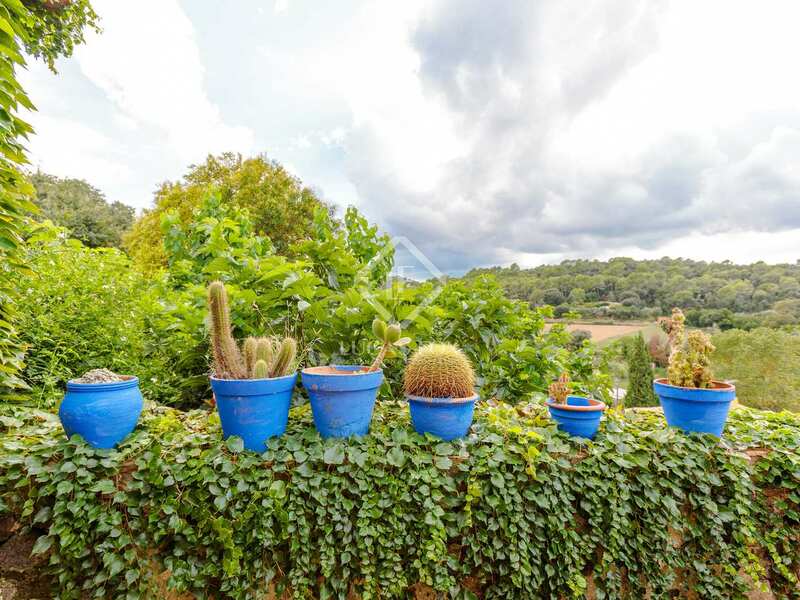 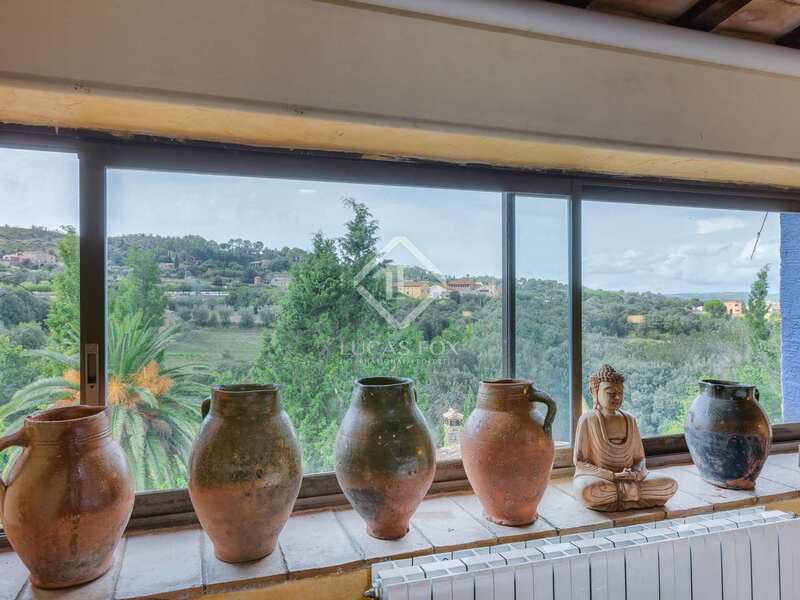 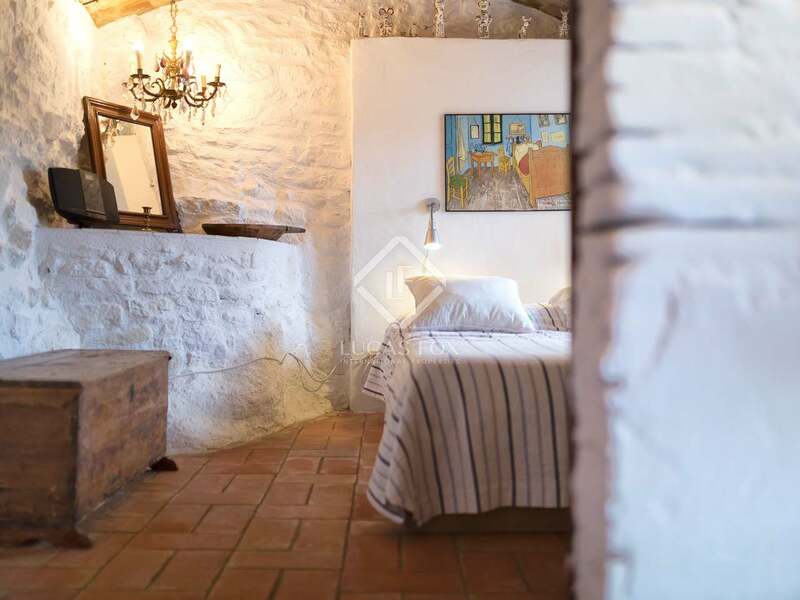 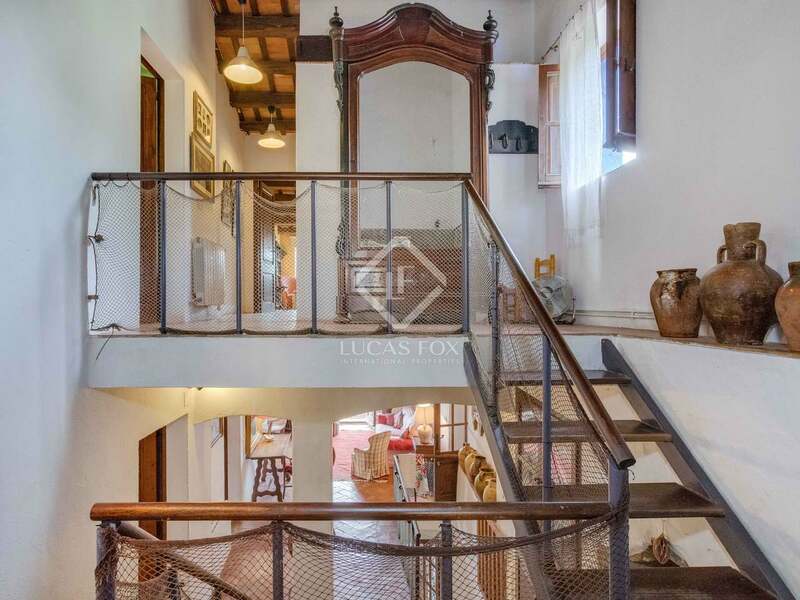 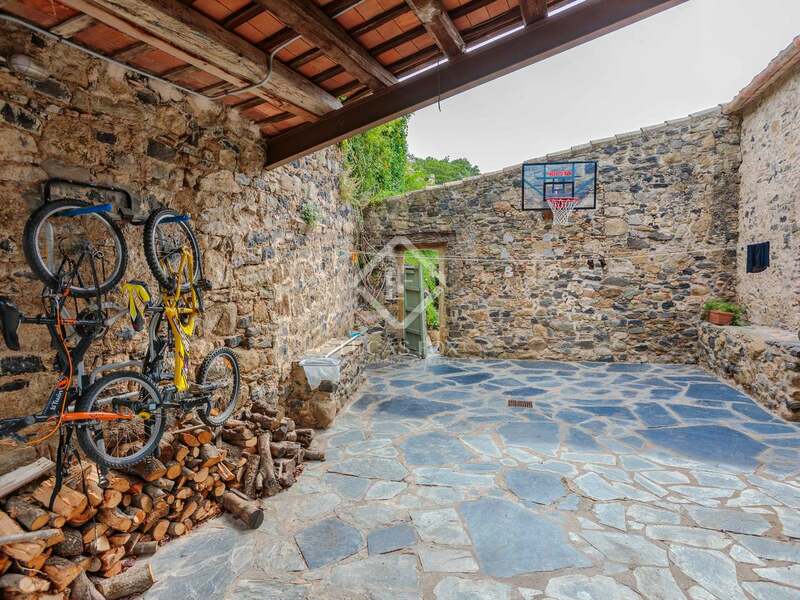 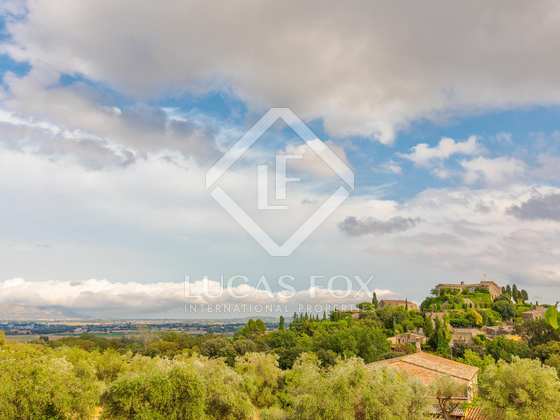 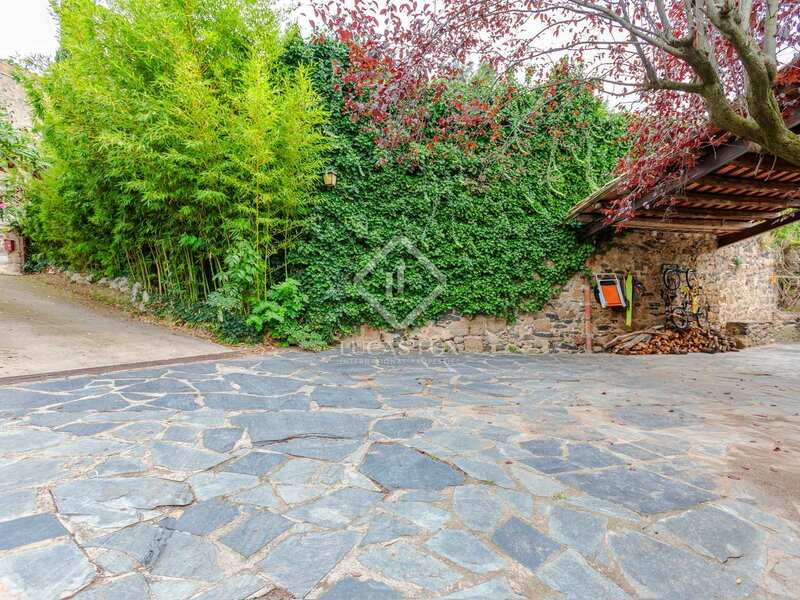 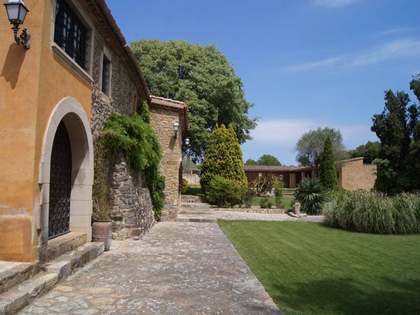 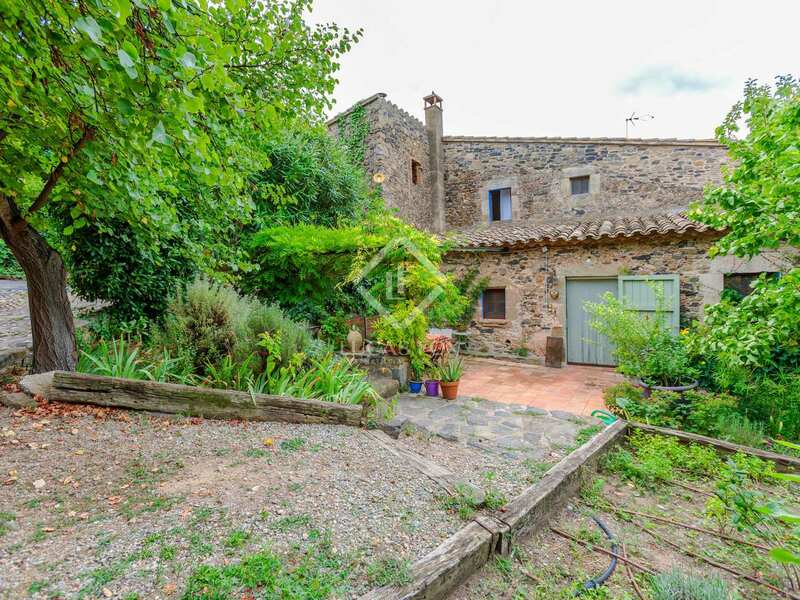 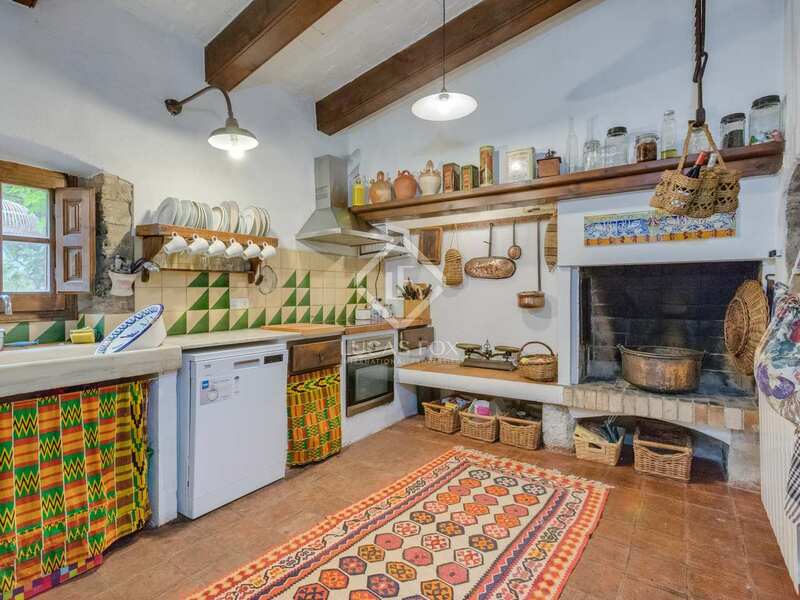 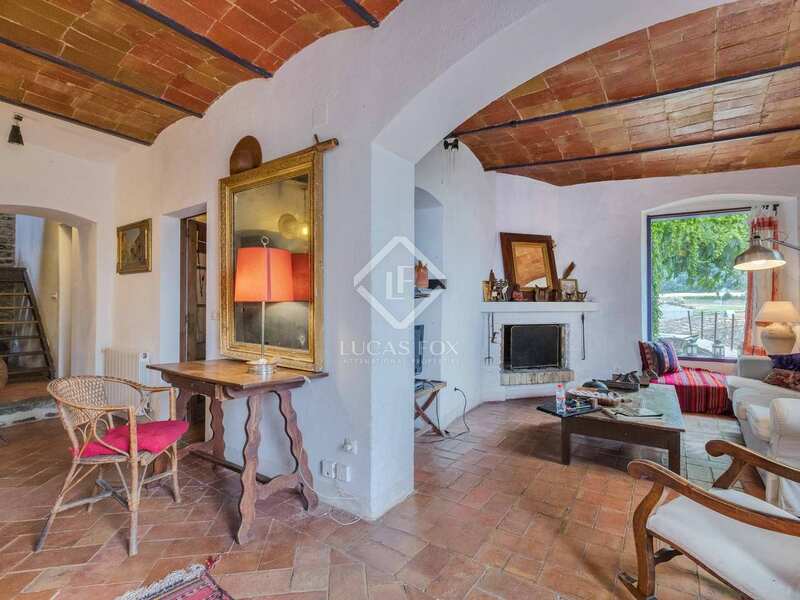 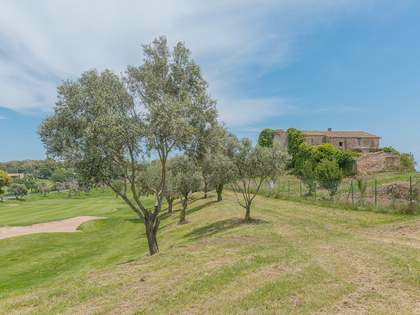 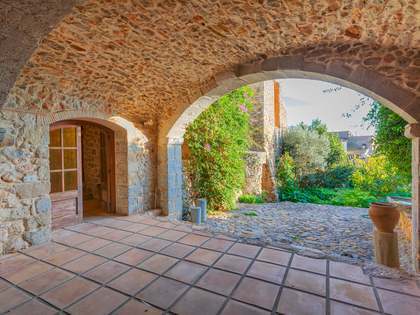 Set in the attractive village of Foixà, the house is located in the heart of the picturesque Empordà countryside, 2,5 km from a village with a bakery, butcher and restaurant. 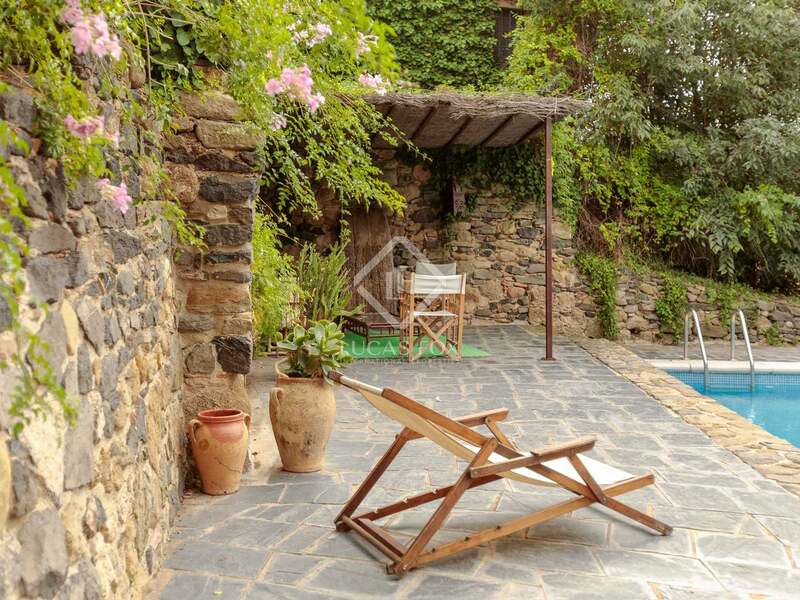 The nearest town with all ameneties is 10 km away and the closest beaches are just a 20 min drive away. 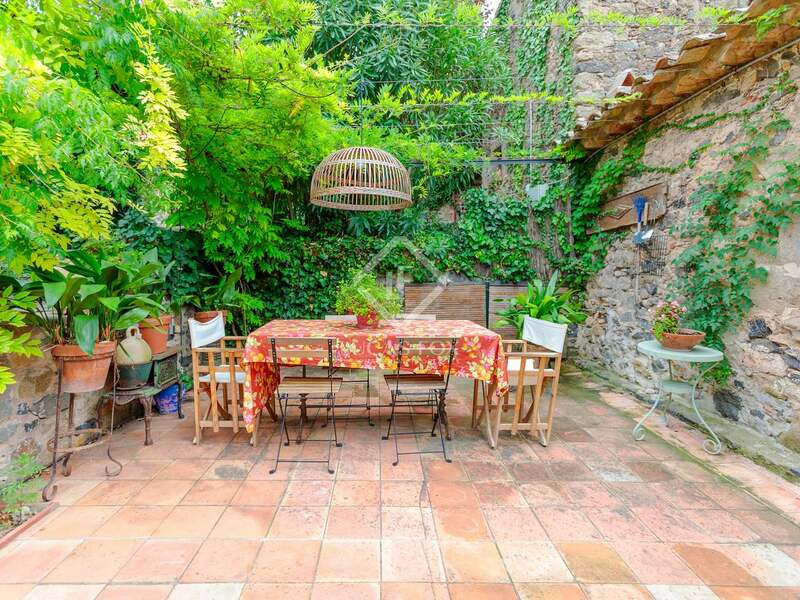 Girona city is 23 km away but there is also a train station 7 km away with regular trains to Girona, Barcelona or France.